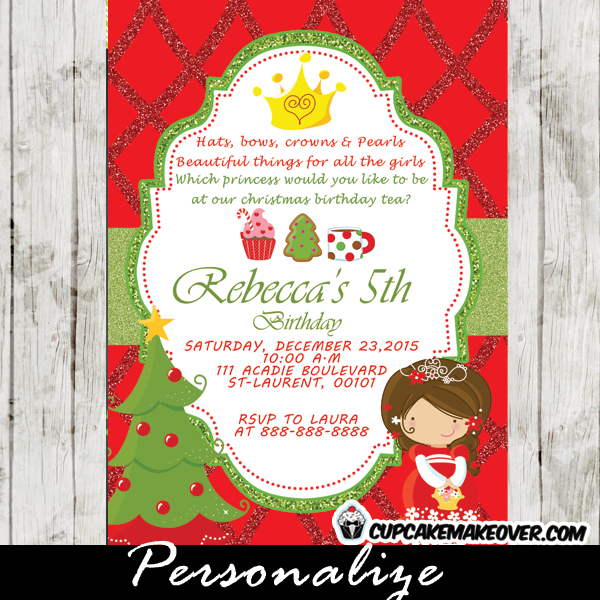 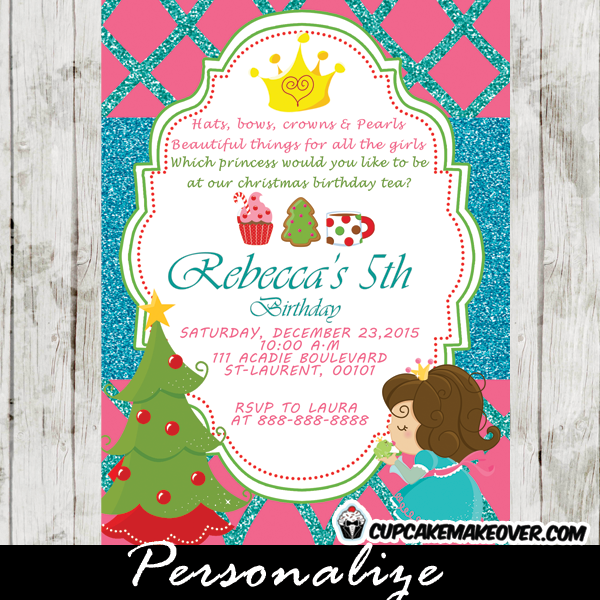 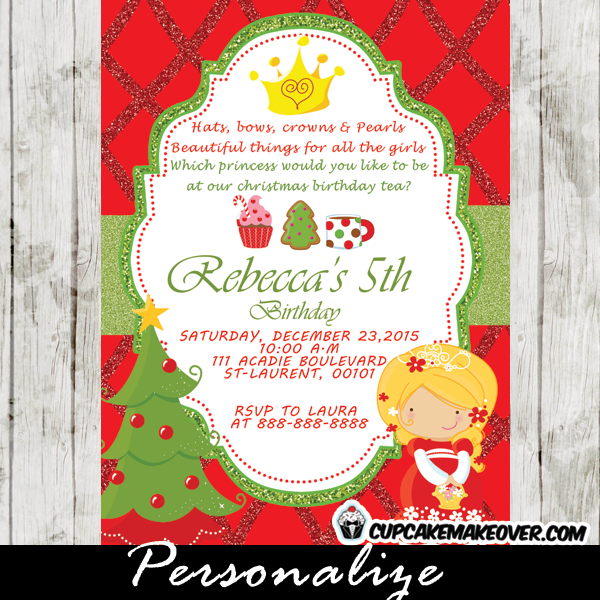 Printable Christmas themed Birthday Princess Tea Party invitation for girls. 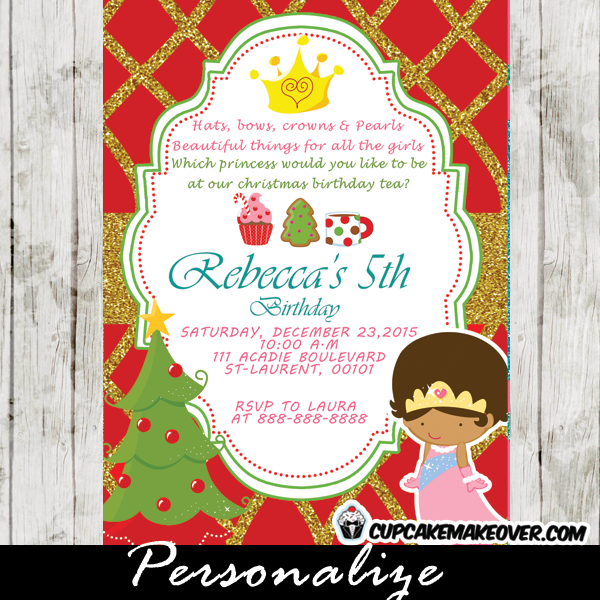 This personalized holiday birthday invitation features the sweetest little girl dressed up as a princess against a red backdrop with gold glitter. 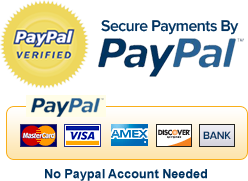 * You can pick a different character from another card. 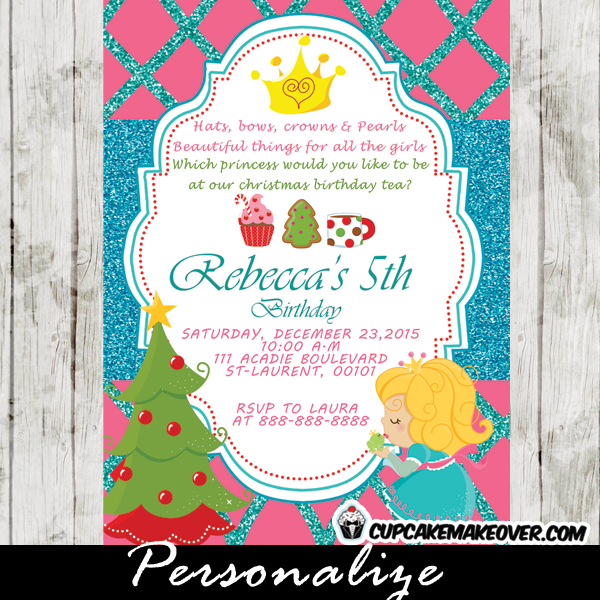 Click here to view our full set of Princess Tea Party Christmas Birthday Invitation Cards.